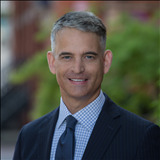 As a 25-year resident of Washington, D.C. and 13-year homeowner in Adams Morgan, I have a vested interest in the District and its surrounding areas and have first-hand experience buying, selling, financing and leasing in the region. In addition to Adams Morgan, I've lived in Chevy Chase, Cleveland Park, Dupont Circle, Mount Pleasant and Penn Quarter and have worked in McPherson Square, Logan Circle and Northern Virginia. 2707 Adams Mill Rd. NW – $350,000. 1 bed co-op. 2426 Ontario Rd. NW - $799,000. 2 bed/2.5 bath/parking. 2211 Main Line Blvd. - $681,000. 3 bed/2.5 bath/parking. 1239 Vermont Ave. NW - $472,000. 2 bed/2 bath/rooftop pool. 910 M St. NW - $681,000. 2 bed/2 bath/parking/rooftop pool. 5030 7th Pl. NW- $708,000. Newly renovated 4 bed/3.5 bath townhouse w/parking. 1313 Shepherd St. NW- $969,000. Newly renovated 5 bed/3.5 bath townhouse with 2 parking spots. Then secured renters for 2 units at $1900 and $3900 per month. 1724 6th St. NW- $981,000. 3 bed/2.5 bath townhouse with parking.